I would always start filtering output in Exchange Shell to see what it gives back. 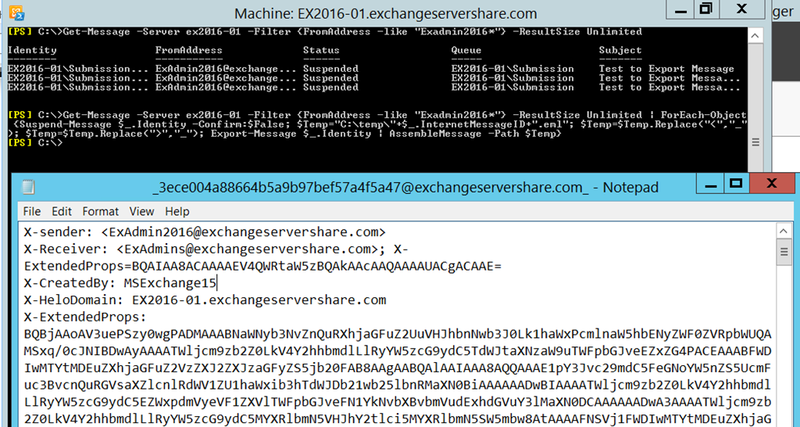 For example, if I want to export the messages from the queue with From Address = ExAdmin2016@ExchangeServerShare.com then I would run below cmdlet to get the result on screen. Once It gives desired result then I would go ahead and export the messages using below cmdlet. You can always change filter to meet your requirement and the folder path where you want to export the messages. These messages will be exported in plain eml format so you can read them in notepad or Outlook.